Home > Originals > What Do New Stadium Projects Really Mean For Fans? It is the dream of every player to stand in the tunnel of their home stadium and listen to an atmosphere steadily reaching fever pitch, to walk out onto the pitch, and feel the support of their fans with every tackle, sprint, pass and goal. Football is a working-class sport; the game of the people. Increasingly in recent years, it has also become the playground of the rich and wealthy, looking to make a killing off the game’s popularity. And nothing symbolizes the juxtaposition between the growing financial muscle and this working-class support base than the breeding grounds of football stadiums that are the very heart and soul of the beautiful game. Mega-expensive engineering marvels for the game’s most important stakeholder; its fans. Clubs across Europe are now looking at new and bigger stadiums all the time. Yet most of these projects alienate fans, who are used to a certain identity and image of their club. Here, we profile some clubs, their stadium projects and the impact these multi-million-pound initiatives have had on their fans. 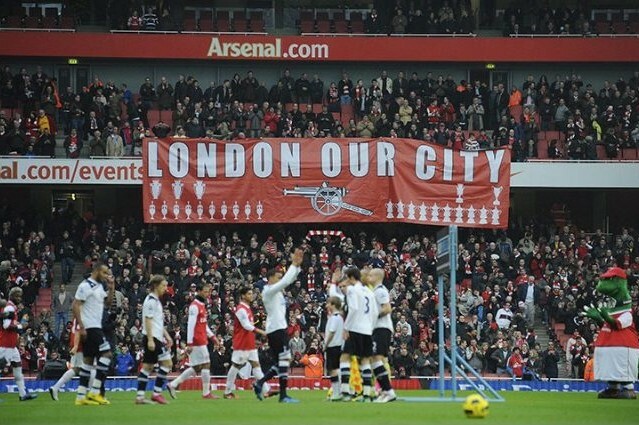 Arsenal Football Club remain one of England’s finest footballing institutions. They remain a football club that are always governed by class and ideals on how to play the most eye-catching football the sport has ever seen. In 2005/06, Arsenal bid farewell to their home of 93 years. Highbury. A fine hat-trick from talismanic frontman Thierry Henry against Wigan Athletic sealed the Gunners’ spot in the Champions League for next year. But at a different arena. Over the course of a number of years, the club had laid down plans to move to a new stadium. In 1999, the first plans were announced, and after funding was secured, construction began on the new Emirates Stadium in 2004. The Emirates is a state of the art facility, a footballing marvel for its time. 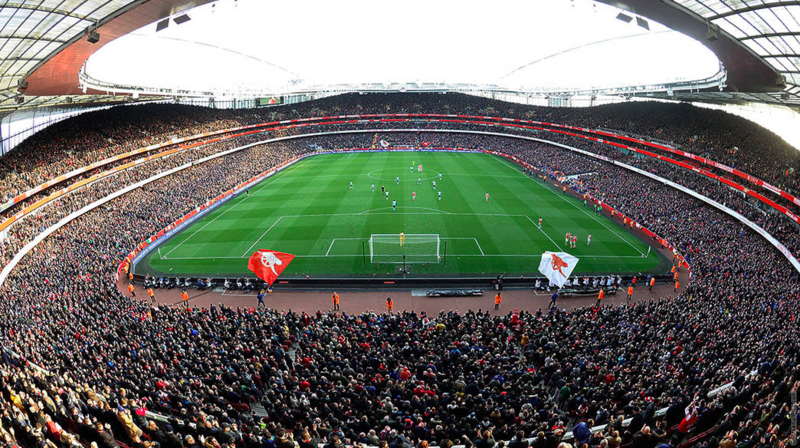 Newer grounds have emerged, but The Emirates remains a class apart. Away players consistently exclaim it has the best dressing rooms, post-match recuperation zones, food and playing turf in the Premier League. The club revealed that close to 50% of the operating revenue would emerge from ticket prices. In fact, they also stated that the executive box revenues would equal the entire collection at Highbury each week. Fans were excited when Chief Executive Ivan Gazidis announced that the move would enable Arsenal to be the “English Bayern Munich”. Sadly, nothing could be further from the truth. The season tickets remain the most expensive in world football but fill the coffers of American owner Stan Kroenke. There has been very little sustained investment in the team, and Arsenal have regressed as a natural outcome. In a post-Arsene era now, they must be careful. The man who was so pivotal to the Emirates move is no longer there. Unai Emery must work in different times, on a shoestring budget. Yet both him and the Gooners will hope Arsenal can be the club they were at Highbury once more. West Ham also seem to have written a similar narrative to their fellow London outfit. A brilliant final season at Upton Park ended with the club defeating Manchester United 3-2 in the last game at the stadium in a barnstorming finish. Yet that was in the 2015/16 campaign. Two years from then, the Irons have been through no shortage of woes. 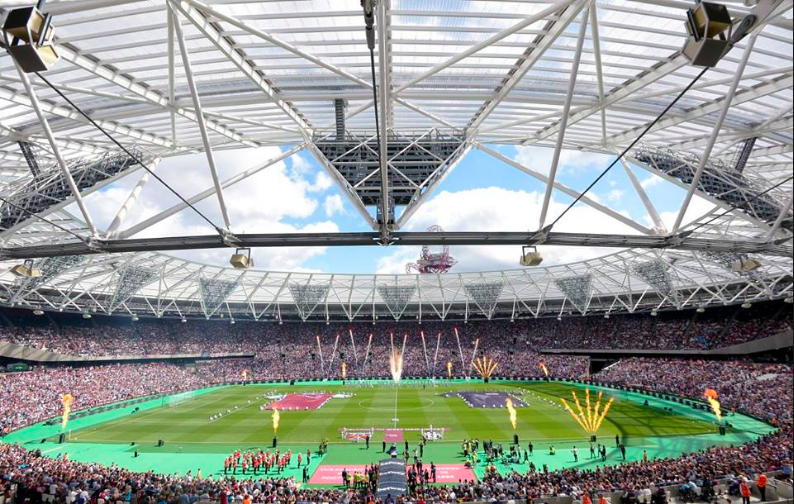 Club chairman David Sullivan stated that it was quite possible that “half their fans would not want to move stadiums” when asked about the process. But citing modern transport links, increased capacity, and modernity, Sullivan was also sure that most fans would soon see the benefits of the move. It has not quite been such smooth sailing as expected. A stadium that has a significant distance between the pitch and the stands does not sit well with the West Ham faithful who are touted as one of the most rapturous fans in the country. They are unable to generate the raucous atmosphere that made the visit to Upton Park such a daunting one. The downward spiral of the football club on the pitch has also been a factor in making the move harder. As Slaven Bilic and David Moyes endured tough times, ugly scenes were on show as the club’s fans spilled onto the pitch in protest against the ownership last season. Aspects that seemed like after-thoughts considering the hype surrounding the London Stadium are yet to come to fruition as complaints that transport links are not as smooth as envisaged and a serious lack of toilets at the ground in certain stands. There has been a suggestion that the Hammers fans should simply grit their teeth, make the best of the stadium and support their team. But this very much seems a club in a state of flux. There is no doubting a lot of their fans miss Upton Park and that they are not able to satisfy the enhanced capacity for ultimately, better match day experiences due to no fault of their own. After all, for them it is not a matter of money, it is one of passion. The current state of affairs under Manuel Pellegrini is worrying as well with four defeats on the bounce have made for grim reading. Tottenham Hotspur have been a club gifted with flair players aplenty, during their time in the Premier League era. Think of David Ginola, Jermaine Defoe, Gareth Bale and the current crop of superstars in Christian Eriksen, Moussa Dembele and Harry Kane. Always great entertainers, but used to seeing their rivals down the road and across town in Arsenal and Chelsea win big trophy after trophy. Yet for the first time, it seems different. Spurs now have a wonderful team with a spine of the most talented players in every position with time and insatiable hunger under their belt to make the North Londoners from staple top-four contenders to champions-elect. very hard to improve in any position. They are stacked with quality players, playing under a manager of Mauricio Pochettino’s pedigree who has a clear ethos and direction. All of this has been done without a lot of money being given to the gaffer either. Tottenham seemed to be gaining a march on Arsenal. Having started to do better on the pitch, they started work on their ambitious new stadium. It would have a thousand additional seats to the Emirates with retractable pitches for Football and NFL and it would have the highest corporate box seating of any club in London. All of this would enable the club to push into a new level of investment and progress. 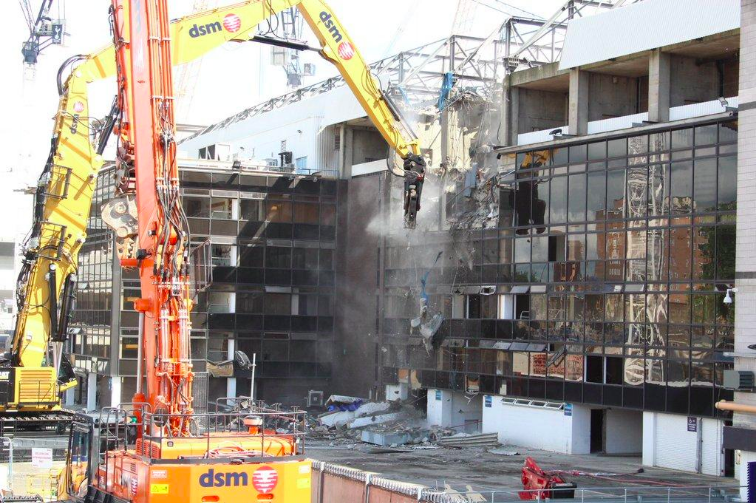 As they brought the curtains down on their era at White Hart Lane, fans were told a temporary home at Wembley Stadium would be found for a year. Fans stuck through this, expecting a swanky new stadium for the next season. Spurs did well enough, finishing 3rd in the league and reaching an FA Cup Semi-Final. Yet Chairman Daniel Levy has not spent a penny in the summer transfer window, and that set unease running among the fan base. There is a worry that despite the unique core that Spurs have stumbled upon too, they might not realize its potential fully unless supplemented. Sudden delays have occurred in the construction of the stadium also. Faulty engineering and delayed safety checks on fire alarms has created a nightmare. Tottenham Hotspur have caused other teams grief also, with fixture scheduling and management. There is a chance that Pochettino’s men may not be allowed to play this campaign using two home grounds in Wembley and the new stadium. Whatever happens, unlike Arsenal and West Ham, Spurs are delivering on the pitch. The man off it must now keep his word to ensure that their fans stay on the same page as the club’s top brass also. Some clubs like Liverpool have expanded their existing ground, to preserve the rich history linked with it. Other clubs like Chelsea and Real Madrid have such projects as the above 3 in the pipeline. But what these cases seem to indicate is an increasing disconnect between fans and money greedy owners. Manchester United have not expanded Old Trafford since the Glazers took over. Fans increasingly feel that their voices are not being heard in such processes. Fans are well versed with the needs for such moves. They know that it enhances revenue and gives their club long-term stability. Problems seem to manifest only on account of a lack of transparency. When fans are lured into moving into stadiums with a certain outcome promised, hope builds. When money does not flow back into the team, but into shiny lockers in banks, rage erupts. There is a need for the game to find balance again. Those above must treat the fans as equal partners of the process. Because without them, there can be no football.